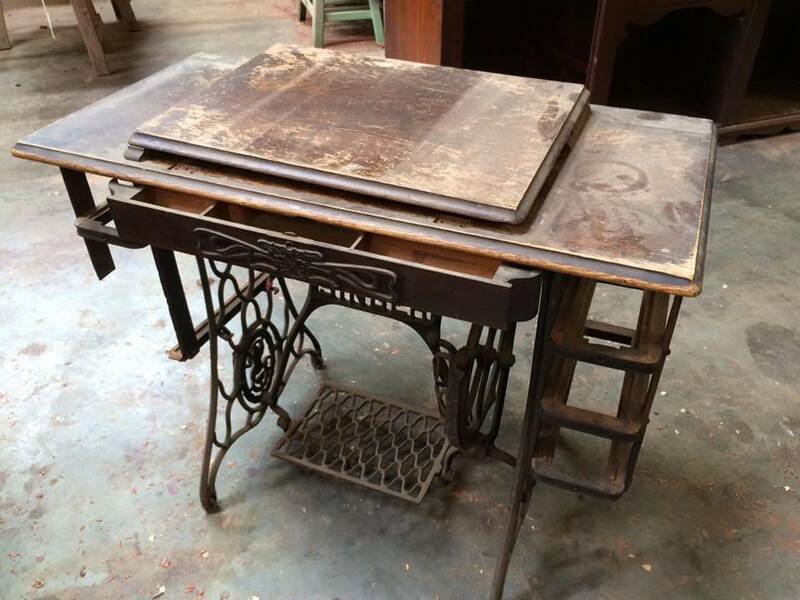 Here at Antiques Restoration Centre we specialise in antique sewing machine repairs, including restoration of the ironwork, re-veneering, and we can also arrange servicing of the machine to get it not only looking but running like it used to, thanks to the lovely folk at Blackmore & Roy in Cannington. 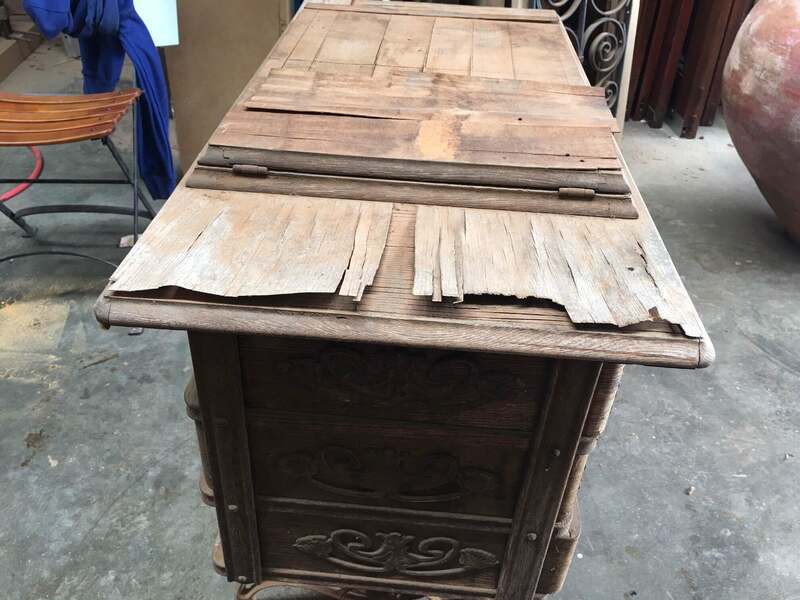 This is just one example of the restoration process, before and after receiving the ARC treatment. 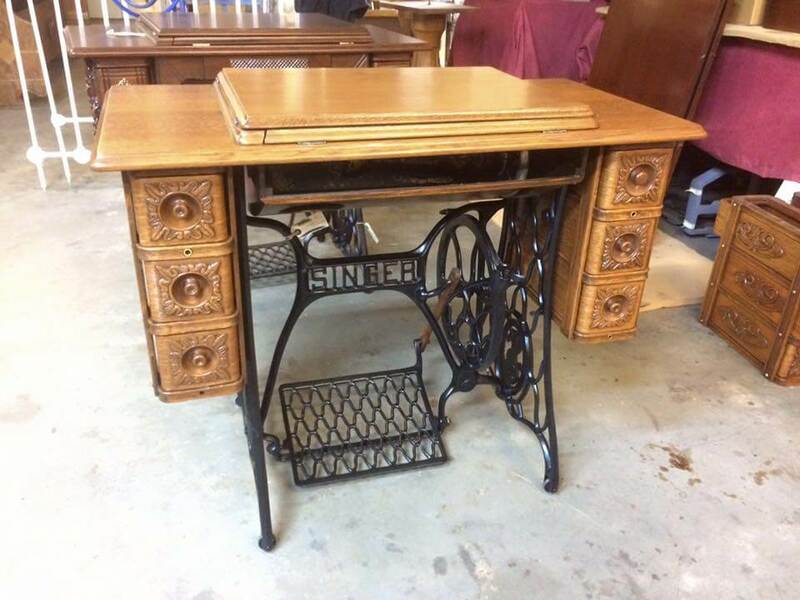 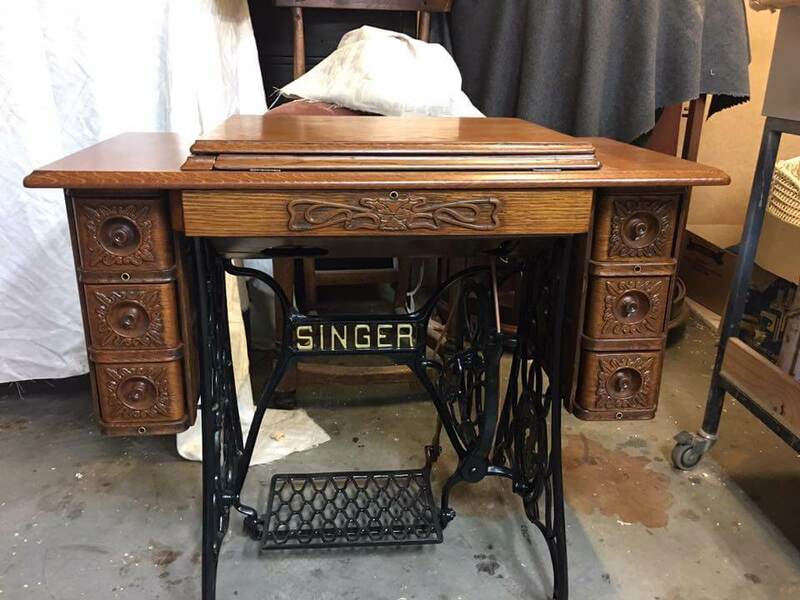 We are able to restore antique sewing machines according to their era, as they should be, including things such as gold lettering on the bases, replacing the leather treadle belt, repairing drawers, veneer work and also replacing the applique artwork.